New cars are better than they've been in generations and many are being heavily discounted, which means it's a pretty great time to buy a new car. But which one? 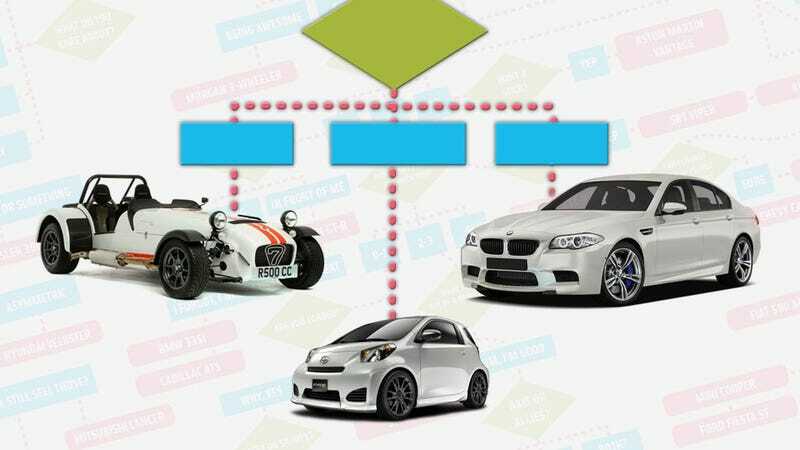 It's not an easy question, and, like all the hard questions in your life, Jalopnik's here to help with a giant chart that tells you exactly which car to buy. 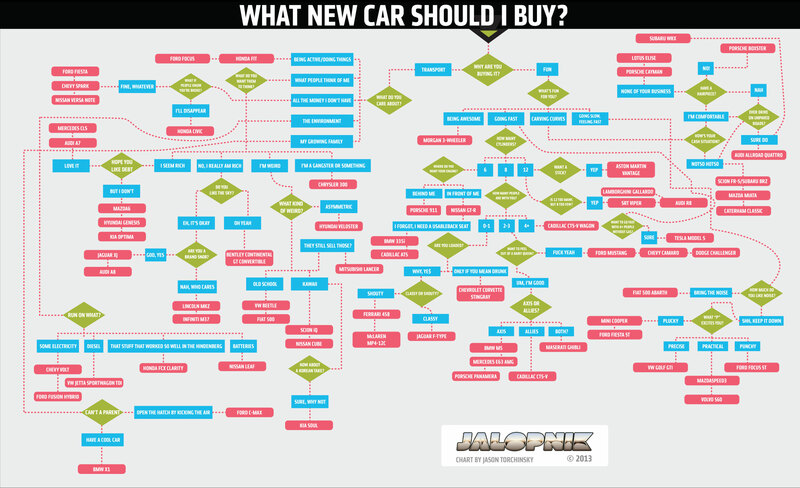 Thanks to the awesome power of the Jalopnik Mainframe, we've put together this comprehensive flow chart to help you decide what new car is best for you. There's over 70 Jalop-approved cars on the chart, and by following the lines and answering the questions posed in the green diamonds, you should be directed to the car or cars that are the best fit for you. Anyway, give this a try! I suggest printing it out nice and big and taking it with you to the dealership. Then they'll know you're no one to be trifled with. Click "expand" to see it in full size or click here. Now, the Jalopnik Mainframe isn't perfect, so there may be some cars you think we missed. In that case, tell us in the comments, and we'll run it through the algorithms for the next version. Fair enough? UPDATE: I made some tweaks and updates, based on your helpful suggestions. Thanks!